Creso Pharma Limited (ASX:CPH) today announced that Kunna S.A.S, the wholly owned Colombian subsidiary of Kunna Canada Ltd has been granted a licence to cultivate medicinal cannabis in Colombia. This news comes as CPH’s due diligence on its proposed acquisition of Kunna Canada Ltd. (and Kunna S.A.S.) continues, and is due for completion later this month. Once the acquisition of Kunna is finalised, CPH will be one of only a few companies globally — and the only medicinal cannabis company listed on the ASX — with the capacity to commercially cultivate medicinal-grade cannabis in Colombia. This is a significant market opportunity as Colombia has one of the most comprehensive and sophisticated medicinal cannabis frameworks in Latin America. In 2017, Colombia was allocated a production quota of 40.5 tonnes — equivalent to one quarter of the world’s total production by the International Narcotics Control Board (INCB), the UN’s body responsible for regulating the legal cannabis market. This is the largest allocation of any country and is over and above the United States’ allocation of medicinal marijuana for both internal and external use with 33.4 tonnes approved. Colombia is a significantly cost-effective location to cultivate medicinal cannabis, particularly when compared to North America. In Colombia, cost of goods sold (COGS) for a gram of cannabis flower equivalent can be as low as just $0.35 cents vs $1.57 in Canada, and trimming rate per gram is $0.10 vs $0.50 in Canada. In addition, the average cost of planting over 46 hours is $200 versus $860 in Canada. 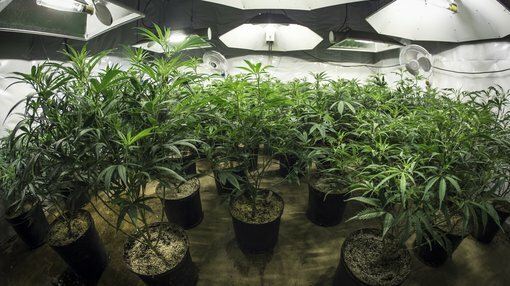 The acquisition of Kunna and the grant of the cultivation licence will not only provide the capacity to commercially cultivate medicinal-grade cannabis in Colombia, but will give CPH a strong springboard to the strategically important Latin American market, which now includes Argentina, Colombia, Chile, Mexico and Uruguay. It also gives CPH the ability to greater integrate its supply chain, allowing it to produce its own medicinal cannabis as well as supply its existing planned products to the Colombian market and export to the broader Latin America market. The advancement into Colombia is part of Creso’s broader aim to establish operations which reach all key global markets. Creso’s Canadian medicinal cannabis operations are set up towards supplying North America, its Israeli operations towards supplying Europe and now its Colombia operations towards supplying Latin America. Dr Miri Halperin Wernli, CPH CEO and co-founder said: “We are really excited about the opportunity that the acquisition of Kunna and its licence to cultivate provides us. It will allow us to bring Creso’s pharmaceutical expertise and methodological rigour to medicinal cannabis production and cultivation in Colombia.